A few weeks back we talked about reformulation and how the perfume industry has a nasty habit of meddling with the formulas of many classics. This isn’t always a bad thing of course, but too often reformulation can result in fragrances that are ghosts of their former selves. Some brands go the other way and decide to discontinue their fragrances rather than change them, and that’s an admirable act of defiance if you ask me however, this is an act that can often results in pain for the consumer who has crafted a love affair with a scent that is cast to the vaults. On some rare occasions a brand will take pity on us, by allowing a discontinued scent to be revived and brought back from the dead. Annick Goutal’s Eau du Ciel is one such fragrance and like Lazarus, it is being restored to life. Annick Goutal’s easy breezy Eau du Ciel was originally launched in 1985. Let’s just ponder that fact for a second. When one thinks of the fragrances of the 1980s, a sunny and cotton-fresh green floral is not the first thing to spring to mind. In a decade dominated by the olfactory tyranny of tenacious fragrances like YSL’s Opium, Dior’s Poison and Guerlain’s Samsara, Eau de Ciel stands out as an antidote – a bastion of cleanliness that burst through those dense clouds of white flowers and exotic spices. In a way, Eau de Ciel is the antithesis of everything that made the ‘80s, the excess, the density and the obscene wealth – but the one thing it does have that is completely in keeping with the period is size. Eau du Ciel is big, but it’s not weighty, and for that reason it was a refreshing contrast to the grand dames of the ‘80s. Annick Goutal describes it as an “airy fragrance”, and that’s pretty spot on. 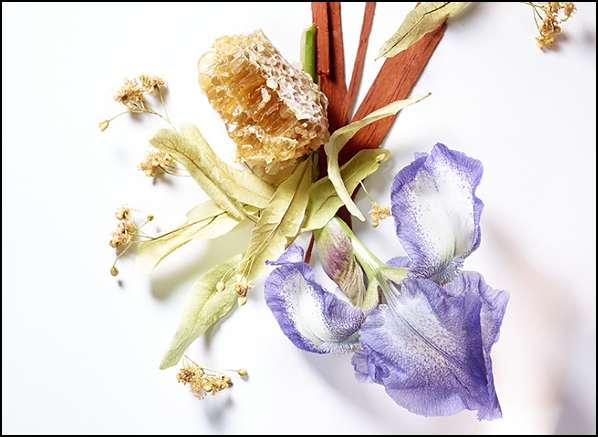 This is the kind of fragrance that is best worn with a crisp white shirt or blouse – a fragrance that speaks of cleanliness but isn’t sterile, in fact it is practically buzzing and overflowing with all sorts of life. 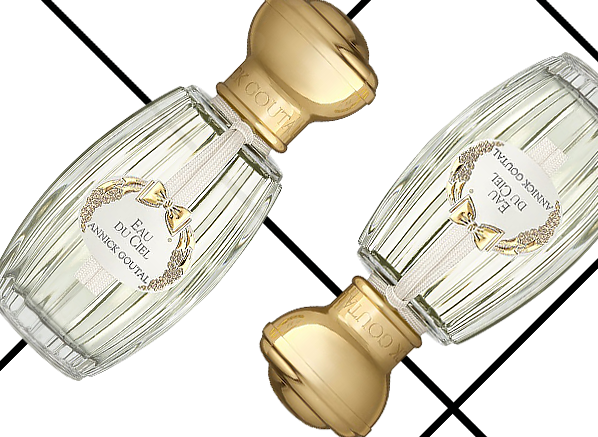 Eau du Ciel throws all of its cards on the table right at the beginning, all at once. It is blindingly bright right at the very first moment, like a fragrant equivalent of the big bang, unfolding in a flash of intense white. The initial spray is like stepping out into the daylight after hours spent in pitch black. Soon the whiteout starts to fade and one can begin to discern, one-by-one, the many disparate facets that piece together this complex fragrance. To my nose, these puzzle pieces consist of; a cotton fresh musk note, sharp green linden blossom, yellow flecks of pollen, warm hay and waxy orange blossom petals. These are the building blocks for a weightless expanse of fragrance that feels like a powdery mist filled with the joys of life in spring. As it settles and heads to the dry down, the veil of cottony musk that holds everything together thins into silvery strands of delicate air. What’s left after a day’s hard work on the skin is a subtle shimmer of silk, scented with the memories of musk and white flower buds. Eau du Ciel is the fragrant equivalent of a dreamy afternoon in a fragrant English meadow. The sun beats down on the thick carpet of green grass, its pile thick with white blooms and dew beads glistening in the light. A soft breeze moves through the swaying green blades, carrying on it the scent of dry hay and microbes of heady pollen – little fertile bombs of prenatal flowers ready to burst in a symphony of new life. That sounds really quite beautiful, doesn’t it? And, it is. There’s something so natural and casual about Eau du Ciel that makes it really easy to wear. Yes, it’s definitely got a distinct presence but it’s not loud, nor is it persistent with its sillage. Instead, Eau du Ciel is one of those fragrances that dips and dives throughout the day, throwing itself up to one’s nose every now and then just to remind you that it’s still there, working its magic. I can’t tell you how glad I am that Annick Goutal decided to dig it out of the archives. This entry was posted on Wednesday, February 18th, 2015 at 11:41 am and is filed under Candy Perfume Boy, Fragrance, Guest bloggers. You can follow any responses to this entry through the RSS 2.0 feed. You can skip to the end and leave a response. Pinging is currently not allowed. That sounds heavenly! Adding it to my “must try” list right now! “Heavenly” sums it up very well. I can imagine that it’s glorious in summer. Thank you for nailing everything right on the head! 🙂 🙂 Life long AG fan who was very!! relieved to see this revived! !